2/10/18 – We are so pleased to hear that gorgeous Merlin has found an A* home! 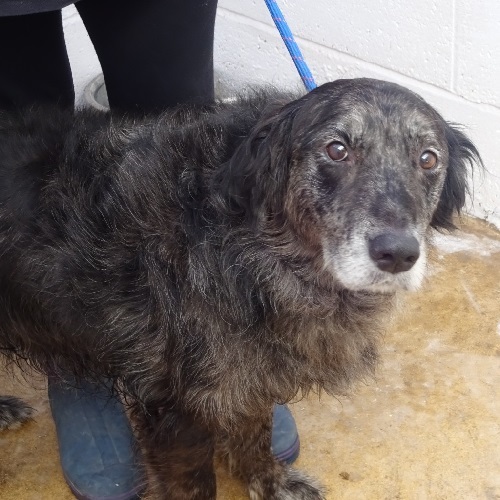 Merlin is a very attractive 10 year old Collie x Retriever boy who is at Ark Animal Rescue and Retirement Home on the Lincolnshire coast. Medium-sized merle-coloured Merlin was rehomed by the Ark earlier this year having originally arrived following the sudden death of his owner. 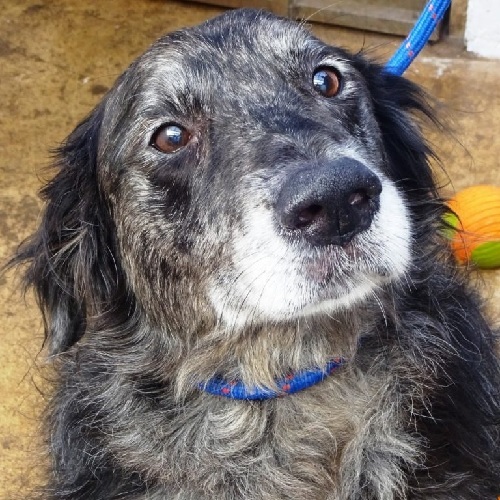 Merlin has proved to be too strong on the lead when he sees other dogs for his new owner to cope with and so he needs to find a home once again. Merlin is a lovely, good-natured boy around people, but he hasn’t been socialised with other dogs and so he is aggressive towards dogs he meets. He isn’t used to being around cats. 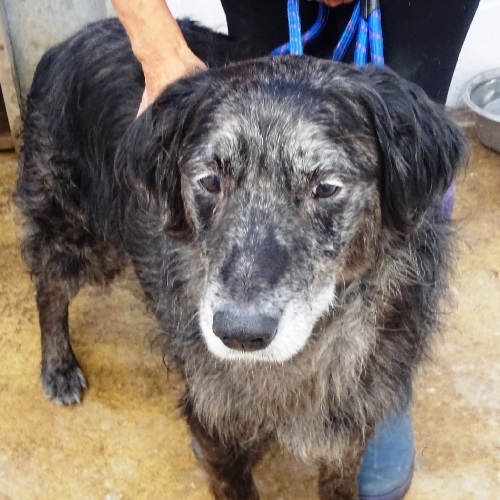 Merlin has had a difficult year, poor lad, but he remains wonderful with people. His ideal home would be in quiet part of the countryside where he can be walked without coming across other dogs. A home with the experience and skills to gradually socialise him with other dogs would be absolutely perfect for this lovely old fellow. He needs a slow, controlled introduction to any dog he meets. Merlin has been neutered and his vaccinations are up to date. He’s currently fit and well, is house-trained and can be left for a reasonable time. Merlin is used to sleeping in the kitchen or living room. He travels well in the car and he walks nicely on the lead until he sees a dog and he is then very strong. In quiet areas he goes off lead and has good recall. Merlin once showed aggression when a 3-year-old child tried to take a bone from him, but he is otherwise good around food and is good at the vets, provided there are no dogs there. He doesn’t like being showered, so is muzzled at the groomers, but he likes to be brushed. Poor Merlin lost everything when he lost his original owner and he now needs a home where he’ll get the love and attention he deserves. Could you offer him a countryside home away from other dogs? Please mention that you saw Merlin on the Oldies Club website.